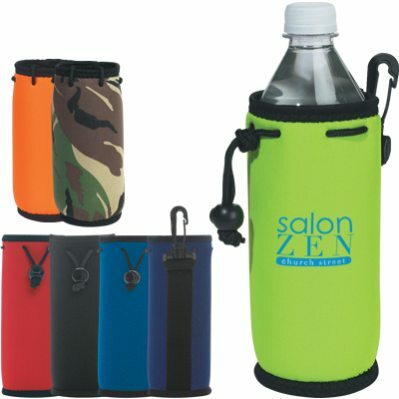 Inexpensive Wholesale Bottle Coolers, Personalized or Blank, for 16 Oz. to 20 Oz. bottles. Promotional, Best price in America. Bulk Bottle Coolers, suitable for 16 Oz. to 24 Oz. bottles, custom imprinted with your logo. We also supply wholesale blank (not imprinted) bottle coolers. Budget Prices in USA and Canada for wholesale bottle coolers . American clients pay no taxes. We will send you a proof for your approval before production.